The incidence of sepsis has increased over the decades and it seems to be the single most important cause of hospitalization, which makes it a serious health economic issue worldwide [1–3]. 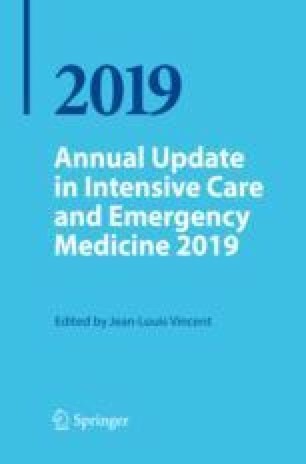 Despite recent advances in early recognition, adequate resuscitation, organ support, appropriate antibiotic therapy and source control, mortality rates are still around 20–50% depending on the source of the data [4, 5]. One of the more theoretical approaches to improve outcomes is the modulation of the immune system and the host response, which has been in the spotlight of research for decades. Hitherto, anti-inflammatory therapies, such as anti-cytokines, anti-oxidants, etc., have been tested, but the results disappointing [6, 7]. Nevertheless, modulating the “cytokine storm” that occurs in the early phase of septic shock as a result of a dysregulated immune response could provide some benefits by regaining the control between a pro-inflammatory and anti-inflammatory imbalance . Torio CM, Andrews RM (2013) National inpatient hospital costs: the most expensive conditions by payer. HCUP Statistical Brief #160. Agency for Healthcare Research and Quality, Rockville, MD. http://www.hcup-us.ahrq.gov/reports/statbriefs/sb160.pdf. Accessed 16 Nov 2018. Cytosorbent Corporation. CytoSorb fields of application. http://cytosorb-therapy.com/the-therapy/fields-of-application. Accessed 18 Nov 2018.